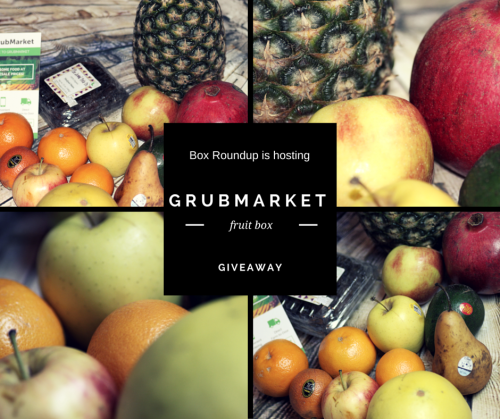 This giveaway is sponsored by Grubmarket, hosted by Box Roundup, and co-hosted by IMHO Views, Reviews and Giveaways and Deliciously Savvy. Thanks to all of the other bloggers posting it as well! Everyone loves fruit and what is better than winning one! Awesome! Thank you so much for including our readers here at Tales From A Southern Mom! One winner, US only, will be asked to provide his/her residential address for mailing of the fruit box prize. Propeller / FlyBy Promotions will be responsible for mailing the prize. No other bloggers are responsible in prize fulfillment. Disclosure (in accordance with the FTC’s 16 CFR, Part 255: “Guides Concerning the Use of Endorsements and Testimonials in Advertising”): Many thanks to Propeller Consulting, LLC for providing this prize for the giveaway. Choice of winners and opinions are 100% my own (Box Roundup) and NOT influenced by monetary compensation. I (Box Roundup) did receive a sample of the product in exchange for this review and post. Only one entrant per mailing address, per giveaway. If you have won a prize from our sponsor Propeller / FlyBy Promotions in the last 30 days, you are not eligible to win. Or if you have won the same prize on another blog, you are not eligible to win it again. Winner is subject to eligibility verification. I don’t use them as a rule but am looking into them to do so in the future. I don’t use essential oils, but they smell nice! I use essential oils in my hot tub to make my skin feel nice and to enjoy the relaxing aroma. Yes, I do use essential oils. I use them a lot when I make cleaning solutions. No i have never tried them.